According to a new study, the organ that birds use to make vocal sounds is unique in the animal kingdom, raising questions about how it might have evolved. Most animals make sounds by means of a larynx, a vocal apparatus located high up within the windpipe. But birds vocalize using a completely different structure, the syrinx, located in the chest, near the heart. Now, in a new study, researchers are probing the peculiar evolutionary path that gave rise to it. In most land-dwelling vertebrates, sound is produced when air passes through vocal folds within the larynx which is located at the back of the mouth. In birds, in contrast, sound is made when air passes over soft tissue supported by rings of cartilage in the syrinx which is located much farther down in the chest. In this study, researchers compared the vocal apparatus of birds to that of crocodiles, salamanders, mice, and cats -- and it appears that the bird mechanism is unique. Interestingly, birds do in fact have larynxes -- they just don't use them for making sounds. Instead, they use them as a valve to separate breathing and eating. The syrinx seems to be a "new" organ; it did not evolve from the larynx. "It appears to be a new combination of structures and developmental programs that are implemented deep in the chest," paleontologist Julia Clarke of the University of Texas, Austin, told Quirks & Quarks. "It's kind of bizarre." The finding has left Clarke and her colleagues puzzling over the question of how the syrinx evolved. Normally, when a new anatomical feature evolves, it's because it fulfills a new purpose or function. But in this case, the syrinx performs a function -- making sound -- that the larynx may have already served. "This kind of biological novelty is pretty rare in the history of life -- to have a new structure arising for the same function as a prior structure," Clarke said. One possibility is that the ancestors of today's birds may have had both kinds of vocal apparatus -- a larynx as well as a syrinx -- working in unison. An alternative scenario is that, at some point, the larynx stopped working in the the ancestors of today's birds, and so the syrinx evolved to restore their sound-making ability. In this second scenario, Clarke explains, there may have been a "quiet zone" in which the ancestors of modern birds were silent. However, birds evolved from dinosaurs, and what we know about dinosaur anatomy suggests this second scenario is less likely, Clarke says. Other researchers have found that dinosaur hearing evolved and improved over the many millions of years in which the giant creatures roamed the earth -- which suggests that they likely were producing sounds too. 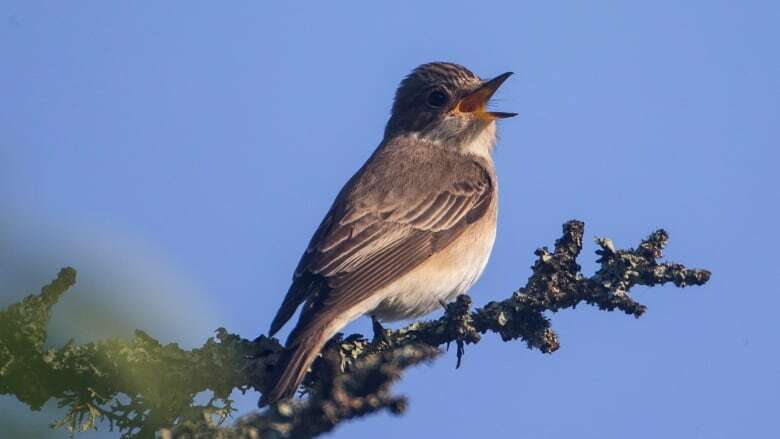 The research may help to explain why birds have such a wide array of vocal capabilities -- and, more generally, it may help scientists understand how biological innovation occurs.